Halloween is just around the corner and nothing is more fun — or potentially more stressful — than decorating your house for the occasion. 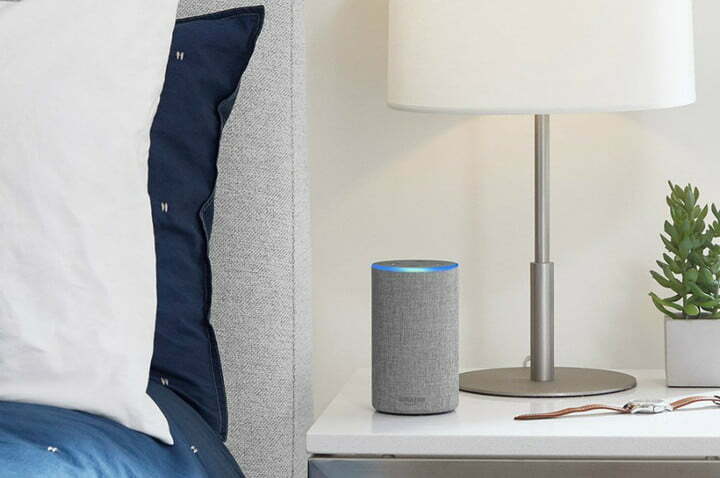 This year instead of fake cobwebs and plastic spiders, we decided to bring you the best tech related Halloween decorations that are sure to make your neighbors jealous and probably a bit spooked. So before you queue up your favorite scary movie, check out these terrifying high-tech decorations. 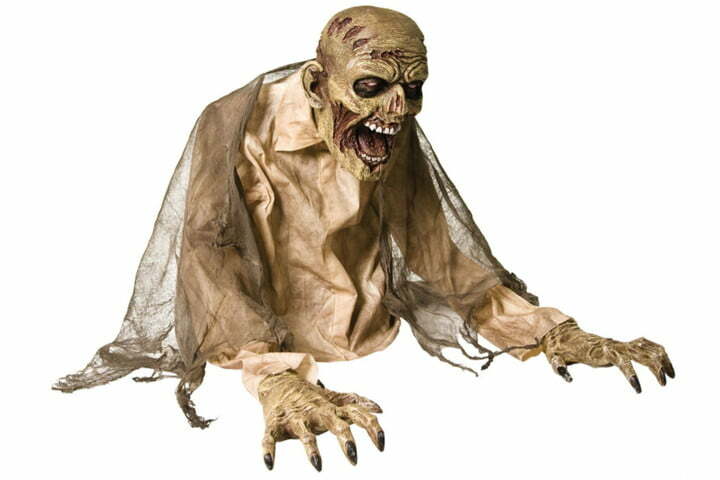 Perfect for the front lawn, the lunging zombie reaper will scare everyone from little kids to grown adults. Featuring yellow LED eyes, bendable wire arms, and creepy sounds, this zombie jumps out at unsuspecting victims. Powered by four AA batteries or a UL adapter plug. 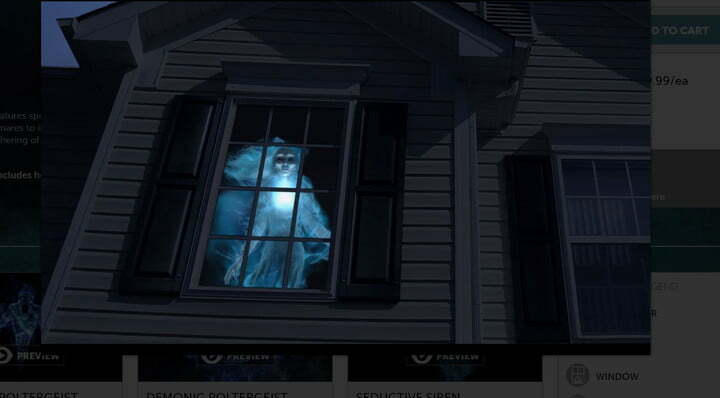 Including an HD projector, standard window projection material, and 16 pre-loaded scenes, the Digital Decorating Kit Plus comes with everything you need to transform your home into a scary movie. Simply find a place to project eerie images and you are good to go. 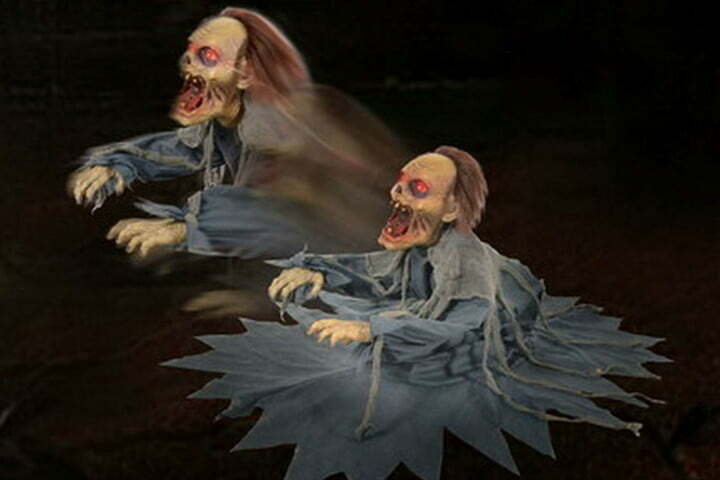 From skeletons dancing to a ghost bride and groom the Halloween scenes are sure to frighten your friends. Standing two feet tall, this animated zombie looks like he is pulling himself out of the ground, and when you least expect it he spits out fog from his decaying mouth. The hard-plastic frame under his shirt has an attached 110 volt motor that turns his head from side to side. The three-foot-long connector and hose attachment will fit on standard fog machines (not included). Simply stuff the sleeves with crumpled newspaper, hook up the hose, and get ready to freak out your friends. 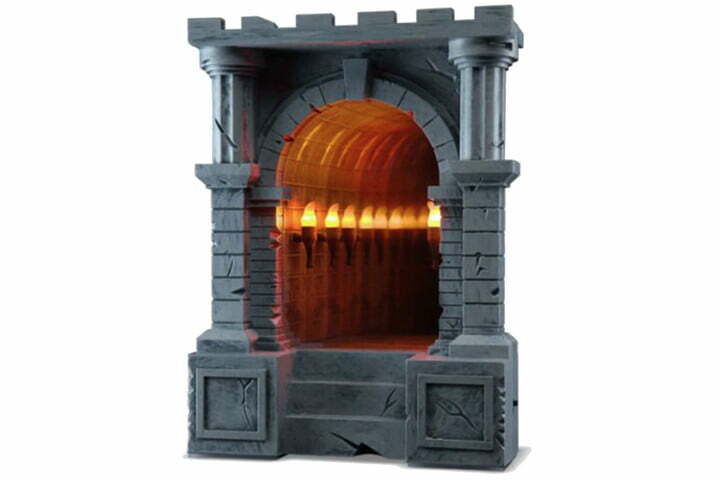 The perfect décor for your desk or to hang on the wall, the Dungeon Corridor appears to be lined with torches that stretch for forever. A play on a classic infinity mirror, this corridor opens up to a dungeon, complete with little flickering torches (with three levels of brightness). If you are looking to splurge on your Halloween decorations the Haunted Moving Painting is for you. 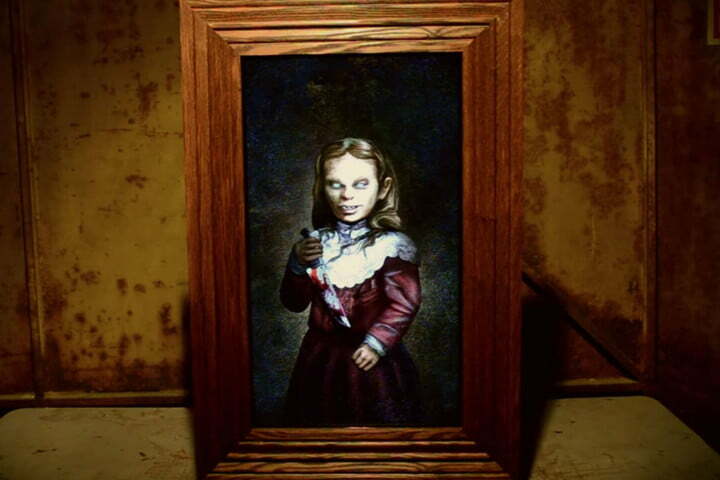 Watch before your very eyes as the picture in front of you seems to transform from a beautiful woman into a ghastly ghoul, or an innocent child morphs into a manic monster. The painting includes an HD display panel and video player, video of choice, and a hand-made frame, making this a one-of-a-kind piece. 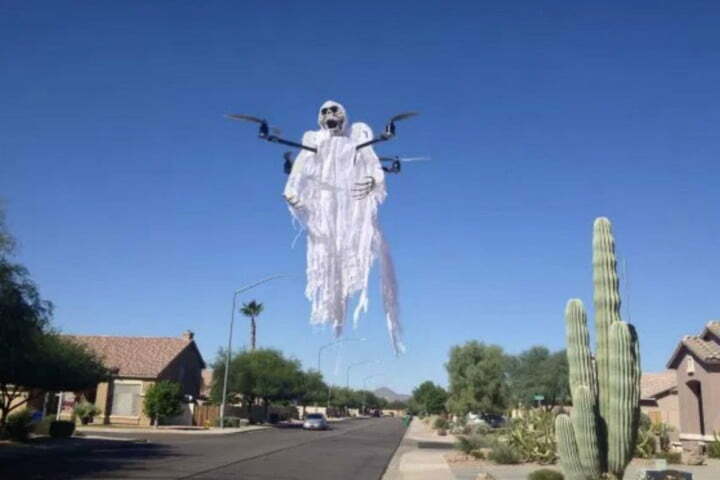 This one’s a bit of a DIY, but if you have a drone, you can transform it into a drone ghost, clown, ghoul, really any scary creature you can think of. You can either buy a creature or make your own — cheesecloths make great ghosts — to drape over your drone. Nothing will be funnier than seeing the look on your friends’ faces as a ghost comes flying straight toward them.